The gaming industry in Canada is booming, and a large portion of it is made up of indie developers. Micro-companies with no more than five members make up 54% of the industry. Working with a smaller team –or none at all—can have its perks, and can sometimes work for the best, but there are a lot of obstacles that come with it too. Andrew Hlynka of Dust Scratch Games took the time to talk about what it’s like to be a one man team and his upcoming game Unfinished. 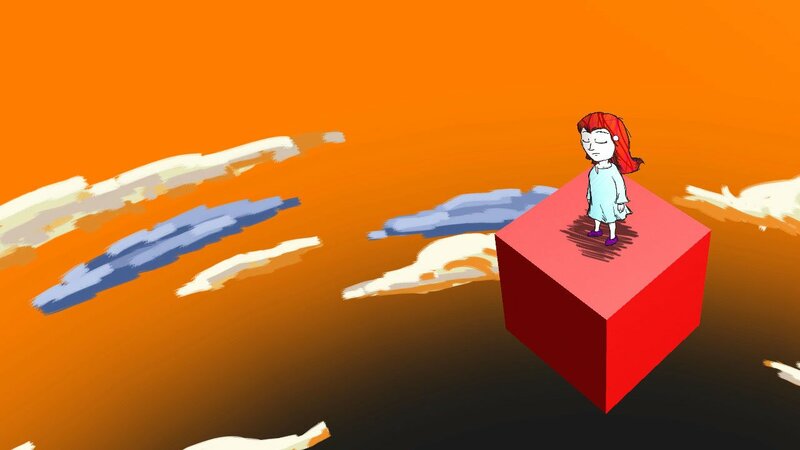 Currently, his game Drew and the Floating Labyrinth is available on Steam Greenlight. Comics Gaming Magazine: What struggles do you face working alone? Andrew Hlynka: Indie developers are in a tough spot. Some are able to make fantastic projects with one-person teams, but generally indie developers make better work when working together. While I enjoy working on all aspects of game development, I am only trained as a student in computer programming and game design, and other components (art, animation, music, sound effects, voice acting, story) I am self-taught. I am satisfied with that, but there is no doubt that additional help improves the quality of such a project dramatically. This is true in Drew and the Floating Labyrinth: aside from the unique animation, the music and voice-acting stand out as great parts of the game, and both were done from other sources. I am thankful for that help. I think one-man teams are able to finish work faster if the idea is complete from the start, only lacking in potential quality in the end result. CGM: Would you consider hiring an artist to help you? Why or why not? AH: I have worked with voice actors and musicians in the past with great results: while I respect voice actors tremendously, their work required less time than other components, and the music was licensed non-exclusively from existing tracks I listened to online, both of which could be added much later when the game is almost complete. The art, however, needs to be original, and animation in particular requires a lot of time, patience and feedback, making it difficult for me to find artists capable, willing, or with available time to work on such a project. My games in particular are true in this. Its normal for a single character in my games to have over 1,000 frames of hand-drawn animation. This is roughly the same to one minute and 23 seconds of an animated film, which is a lot of work, but not as much as most would expect, and I am capable of it if I limit myself. In short, I would love to hire a small team of local animators to help with this aspect, but would only approach available artists if I had the money to pay them appropriately and was confident the game would be worth their effort. Until then, I will still attempt to improve the methods I use to make this easier, and hope that artists can be inspired by the techniques I use to make their own games. This is the effect I hope my games have, to extend 2D animation in new ways in work outside my own. CGM: I know you’re working on a game that’s scheduled to be released this year titled Unfinished. What can you tell me about it? 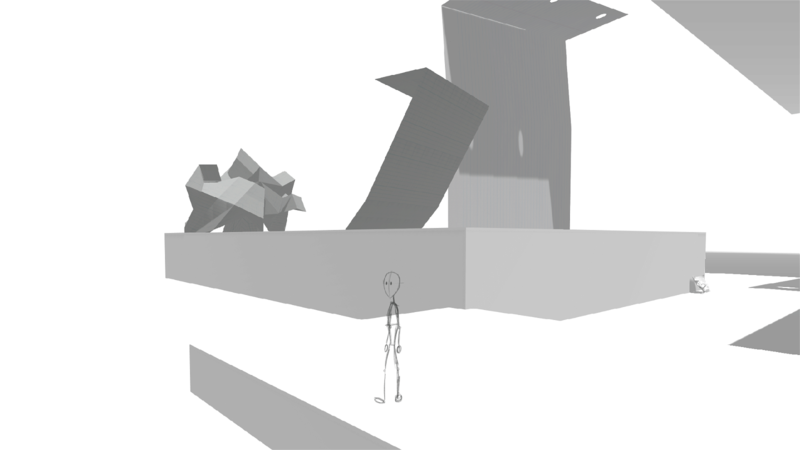 AH: That game has you following an unfinished doodle or sketch that looks like a standard stick figure. The story of the game is that he knows he’s unfinished so he sees the artists’ pencil still working in the distance, and he wants to be finished so he chases after the pencil hoping that he can finish himself if he follows it. 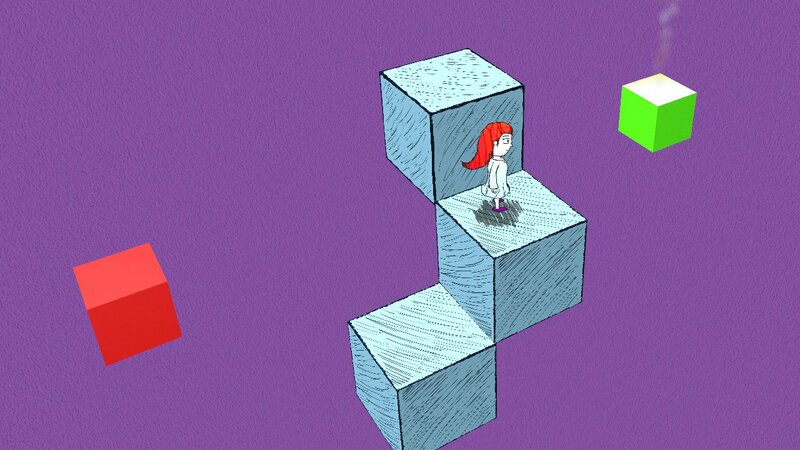 It’s an adventure game, so you would follow it and explore different environments that are inspired by paper and other unfinished sketches that you see in the background. It’s coming along slowly. 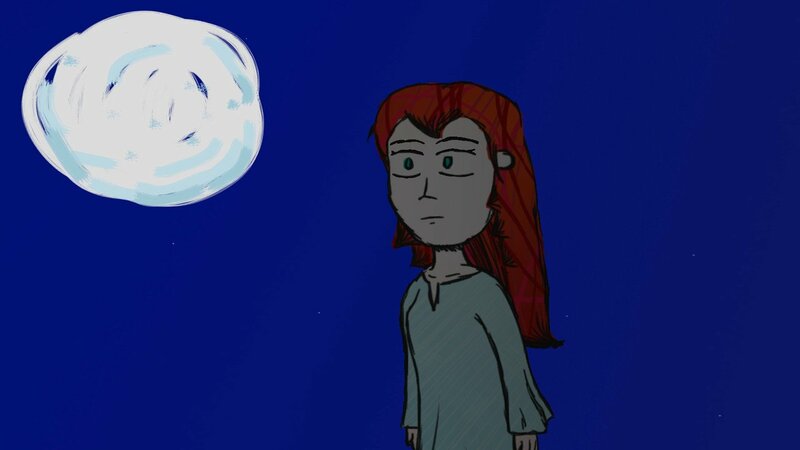 I’ve finished most of the animated movement for the character and that’s the hard part. And right now I’m focusing on designing the levels. It’s going to be a short game so I hope to finish within the few months. CGM: It sounds similar to your game James. AH: Subconsciously, I realized later the themes were similar to James – Journey of Existence, my first proposed game, where the main character was a boy exploring an abstract environment to remember his name and who he was, and incorporated the ideas further in the design of Unfinished… The gameplay design and themes of identity from James are making its way into Unfinished, helping me finish it a bit more quickly. A handful of people still ask me about James, which I have temporarily canceled since the ideas that inspired it now exist in two games, but I expect to put an Easter egg or two in Unfinished that relate directly to James that I hope fans look for. I think this is a spiritual successor to James. CGM: Other than James, where did the inspiration come from for Unfinished? 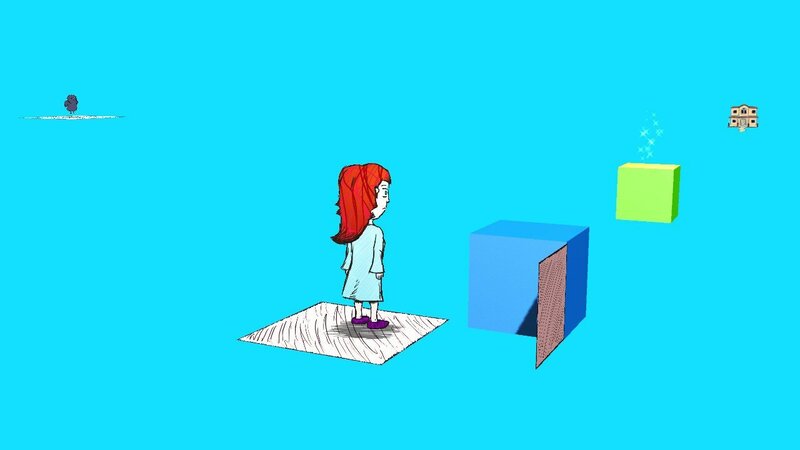 AH: It’s kind’a funny… Drew and the Floating Labyrinth was a simplified game, but still took several months to complete, and I was thinking of a short game I could make in a shorter amount of time with a similar animation style. The idea of animating a stick-figure popped into my mind, something easy to draw and sketch down, not necessary to worry about details or colour in each frame. One night, as I tried to go to sleep, I kept getting flashes of ideas of the story, about a stick figure wanting to be complete, and using leftover sketches in the environment to complete itself to progress forward. It featured a relatable story from the perspective of the doodle and from the artist – which I will include as a character suffering artist’s-block through narration in the game. It seemed like the type of story I liked to make, the type of game I wanted to make, and fitted perfectly with my unusual 2D-animation-in-3D style. While other obligations have gotten in the way, I am still hopeful to finish Unfinished in the coming months. CGM: Anything else you’d like to add? AH: I hope to go back to James one day, but for now, I think that Unfinished will be the representation for that, I hope that some people will feel it too. To find out more about Scratch Dust Games, you can check out the official website here.